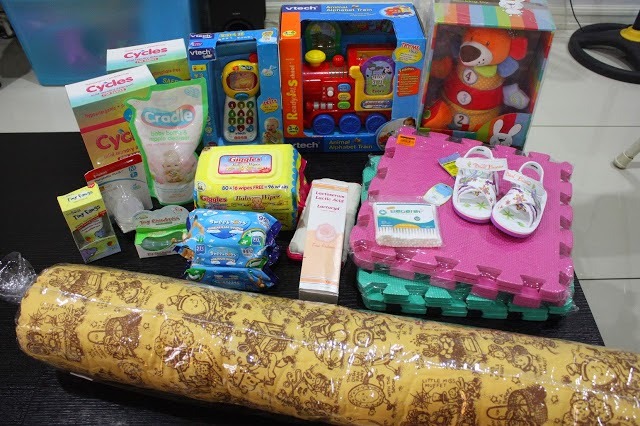 Since the time Baby A came to our life, my shopping agenda and pocket money was all for baby. 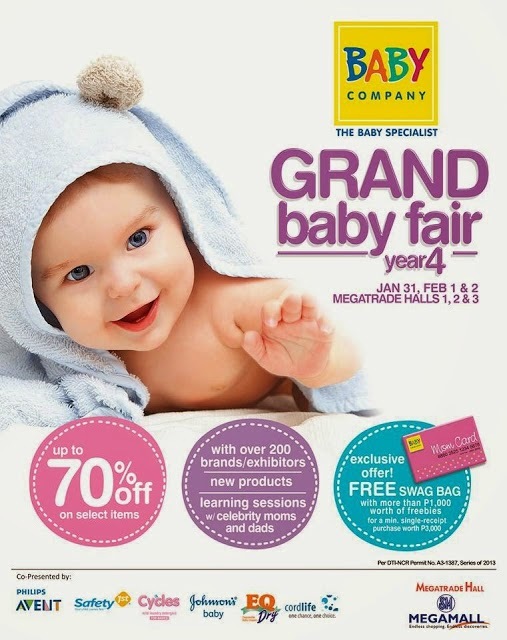 Last year, when I found out about the Grand Baby Fair, I and my two other mommy friends went to Megamall to check it out. We had so much fun despite going there on the last day because there were lots of freebies, last minute mark down, and the most-awaited SWAG bag! 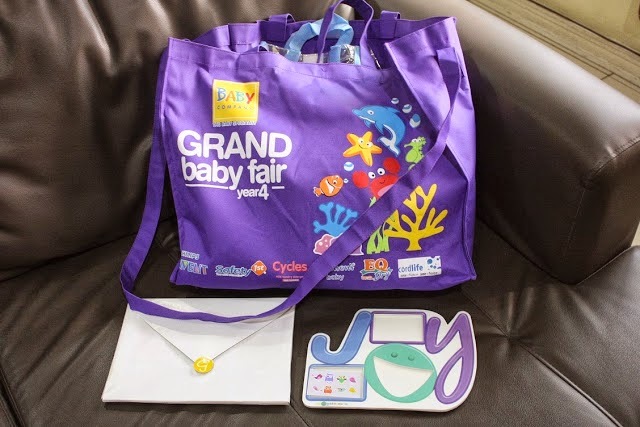 Last year Grand Baby Fair 2013's SWAG bag. And as soon as the announcement of the Grand Baby Fair schedule for this year 2014 came out, I immediately informed my 2 mommy friends to go and visit the fair again. Online registration came out just one week before the fair and luckily I was able to register early. 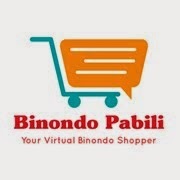 What's good about registering online and a Mom Card holder is the added perks of getting coupons via email to be printed out and presented on selected booths to redeem the freebies. The email looked like this. Grand Baby Fair 2014 poster. Their theme was Under the Sea-ty. This is their entrance, for walk-in registrants. I'm a certified Mom Card holder! I wasn't able to take photos of the booths because I'm busy enjoying the fair myself and on the look-out for great finds. Here are some of the booths that I was only able to take upon passing by. I redeemed my free candies here. Picture taking with the backdrop and costumed people. Picture with Cid, mascot of Lactacyd. I took a picture of this helpful Baby Company staff. Look at the very long lines on the first day. I played the Panchinco and was able to redeem a Zoo Bin. Me and my friend Mommy G bought lots of goodies home. We enjoyed it again this time! We arrived there around 5:30pm and went home by 10:30pm after our dinner at Chili's. Thank you to Mommy Edel for the ride and for her hubby Doc A for helping us push our carts in line while we continue strolling around. We forced ourselves to reach the minimum purchase of P3,000 so that we could get home a SWAG bag. Yey! Swag Bag unpacked plus a Goldilocks picture frame. Swag bag has a shoulder strap now. Inside contents of the Swag Bag. I think I like this year's Swag bag better because there's a cute bag which made it worth getting. Freebies redeemed from the coupons. Gerber and Bibibons, I got it from their booths. 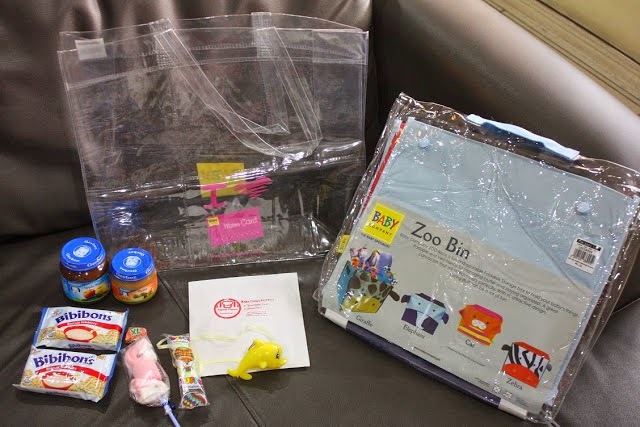 I love the Zoo Bin and Photo Bag! Here are the things that I've bought, amounting to P3,167. You still have until tomorrow to check out the fair! Good luck and enjoy your shopping! 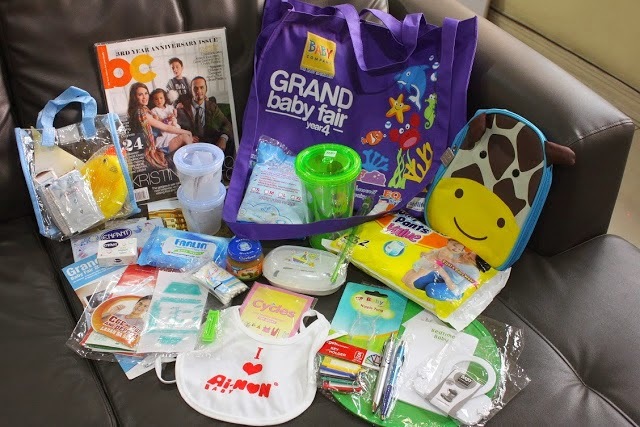 Like Baby Company's Facebook Page to get updates on their latest promos and events. Next year ask Allen to join us. Baka hindi na tayo sasamahan ni Doc A. Natrauma sa haba ng pila! Hahaha! Haha oo nga, sobrang exag nga yung pila sa first day, halos naikot yung buong hall. Parang almost 3 hours ata siya pumila. Magdala tayo ng taga pila, haha!